Beneath the soaring archways of the iconic State Buildings, new life is being breathed into a collection of iconic heritage buildings that will revive the civic heart of Perth. 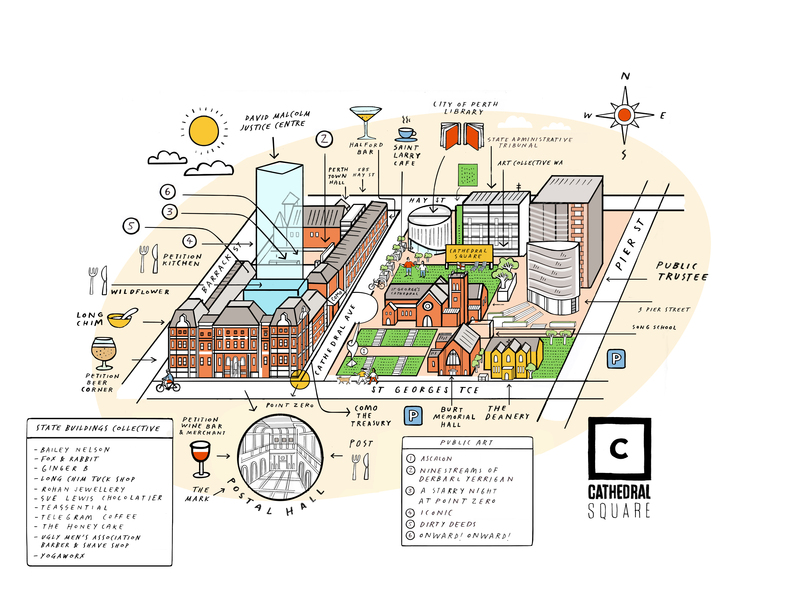 The former government buildings have been reimagined, re-invigorated and returned as a vibrant hub of retail, dining and hotel offerings. The three interconnected heritage buildings known as the State Buildings sit on the corner of St Georges Terrace and Barrack Street in the centre of Perth. Over their 140-year history, they’ve been used as Public Offices, a Police Court and cell block, Treasury, Survey Department, GPO, Immigration Offices, office of the Premier and Cabinet, Lands Department and Titles Building – but have been empty and unused since the government vacated the buildings twenty years ago. 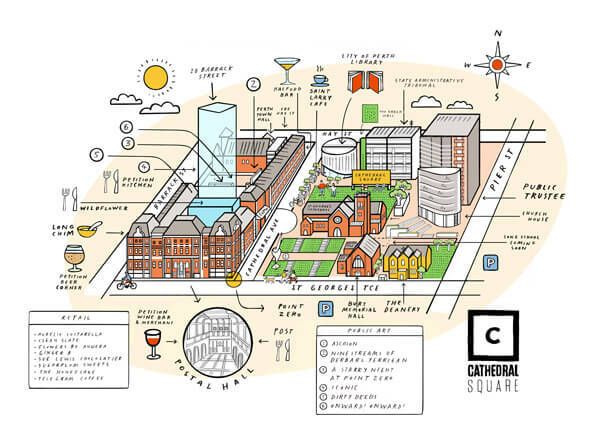 The centrepiece of the historic Cathedral Square precinct, the State Buildings will become the heartbeat of a new urban neighbourhood, connecting pedestrians with the drinking, dining and retail offerings inside. The buildings will house outstanding craftsmen, artisans and makers, passionate about their products and fiercely proud of their West Australian heritage. The iconic Postal Hall at the heart of the State Buildings stands as a marker of passion, tenacity and curiosity, giving the people of Perth a reason to celebrate their history and importantly, Western Australia’s bright future.